An efficient all round performance especially financial performance is important for any business organization. It is rather the stake of survival in the long run. In essence, all the activities of the organization are directed for that purpose. An organization may have excellent marketing, efficient human resources, but at the end of the day, it is the financial bottom line that will speak about the overall efficiency. Here an effort has been made to evaluate performance of Titas Gas T & D Co. Ltd. for the last five years . It is a vast topic but I decided to work in this important and interesting area. Since the inception of the organization, Titas Gas T & D Co. Ltd. has achieved tremendous success in its operation of business. The study also shows the company’s increasing profitability and success in other area. During 2009-10 Market share of four company under Petrobangla the Titas Gas Transmission and Distribution Company Ltd.( TGTDCL) is in the best position. That is the position of (TGTDCL) is on the basis of Sales 74.42%, Revenue 72.64%, Customer connection 80.44%, Pipeline construction 53.44%. System loss decreasing from 6.47% to 0.81% in the last four financial years (2005-06 to 2008-09) and in the last financial year 2009-10 system is gain 2.14%. The analysis of last five years data shows that the company is in a trend of reducing it debt portion relative to its equity (the debt-equity ratio in 2006 is 44 : 56 whereas in 2010 is 10 : 90). The debt-equity ratio of last five years (2006-10) indicates a decrease of debt related to equity. Sales and net profit after tax is increasing trend in the last five financial years which is a good sign for the company. Origin of Titas Gas T & D Co Ltd.
Titas Gas T & D Co. Ltd. (TGTDCL) was formed in November 1964 as a joint Stock Company (Under the Company’s Act 1913) of the central Government of Pakistan on the one hand and Pakistan Shell Oil Company on the other, with a view to transmitting and distributing natural gas to the Dhaka city the then provincial capital of Pakistan from the discovered gas field called “Titas” located on the bank of the River Titas, within the close vicinity of the present Brahmanbaria district of Bangladesh. The authorized capital was Taka 17.8 million only, divided into 17800 shares of Taka 10.00 each. Ninety percent of the shares were subscribed by the then central Government of Pakistan and remaining ten percent by the Shell Oil Company. In December 1971, after nine months of liberation war, Bangladesh emerged in the world map as a new independent state with the same geographical boundary of the then East Pakistan. Plunged into a state of total economic collapse following the war of liberation, vigorous activities were immediately started at all levels to rebuild the country. Certain national priorities were set by the then Govt. and significant changes were brought about in the management of development activities. A no. of Sectors or Corporations was formed and each of them was entrusted with the operation and management of the units under it. In March 26, 1972 Govt. has formed “Bangladesh Oil, Gas & Mineral Corporation (BOGMC) under the Presidential Executive Order and Titas Gas T & D Co. Ltd. has become an enterprise of BOGMC. Titas Gas T & D Co. Ltd., which was earlier established as a joint stock company with 90% share capital of the Govt. of Pakistan naturally, vested to the Govt. of the People’s Republic of Bangladesh and the rest 10% share capital of Pakistan Shell Oil Company was transferred to the newly formed Bangladesh Shell Oil Company. During 1975, under the nationalization program, Govt. has brought back 10% share of Shell Oil Co. and Titas Gas T & D Co. Ltd. has become a 100% Government owned Company. Meanwhile, during August 1974, Bangladesh Oil & Gas Corporation/Petrobangla and during October 1975, Ministry of Energy & Mineral Resources had been formed. TGTDCL has been placed under the administrative control of the newly formed ministry along with Petrobangla and its subsidiary Companies. Historical Background of Titas Gas T &D Co. Ltd. The history of the use of Natural Gas as a source of energy and feed-stock in Bangladesh dates back to early sixty’s. Haripur Gas Field, discovered in Sylhet district in the year 1955, cameinto commercial production in 1961 with the supply of gas to Natural Gas Fertilizer Factory (NGFL) at Fenchuganj by 28 miles 8” DN pipeline. The Chatak Gas Field, discovered in 1959 was brought into commercial production with commencement of gas supply to Chatak Cement Factory in 1960 by 12 miles long transmission pipeline. The basic objective of the Company was to construct, own and operate natural gas transmission & distribution facilities in the mid-eastern region of Bangladesh i.e. Comilla, Mymensingh and Dhaka district with the right of purchasing, transmission, distribution, sales and disposal of natural gas within the jurisdiction of greater districts before creation of new districts. In December 1971, after nine months of liberation war, Bangladesh emerged in the world map as a new independent state with the same geographical boundary of the then East Pakistan. Plunged into a state of total economic collapse following the war of liberation, vigorous activities were immediately started at all levels to rebuild the country. Certain national priorities were set by the then Govt. and significant changes were brought about in the management of development activities. A no. of Sector or Corporations was formed and each of them was entrusted with the operation and management of the units under it. In March 26, 1972 Govt. has formed “Bangladesh Oil, Gas & Mineral Corporation (BOGMC) under the Presidential Executive Order and Titas Gas T&D Co. Ltd. has become an enterprise of BOGMC. Titas Gas T&D Co. Ltd. which was earlier established as a joint stock company with 90% share capital of the Govt. of Pakistan naturally vested to the Govt. of the People’s Republic of Bangladesh and the rest 10% share capital of Pakistan Shell Oil Company was transferred to the newly formed Bangladesh Shell Oil Company. During 1975, under the nationalization program, Govt. has brought back 10% share of Shell Oil Co. and Titas Gas T&D Co. Ltd. has become a 100% Government owned Company. Meanwhile, during August1974, Bangladesh Oil & Gas Corporation/Petrobangla and during October 1975, Ministry of Energy & Mineral Resources had been formed. TGTDCL has been placed under the administrative control of the newly formed ministry along with Petrobangla and its subsidiary Companies. The gas supply area of the Company has been extended to new areas of Greater Dhaka, Greater Mymensingh and Brahmanbaria which includes Dhaka Metropolitan city & suburbs, Tongi, Joydevpur, Gazipur, Mirzapur, Tangail, Savar, Dhamrai, Manikaganj, Aricha, Narayanganj, Sonargaon, Rupganj, Araihazar, Jinjira, Keraniganj, Munshiganj, Mirkadim, Brahmanbaria, Bhairab Bazar, Ashuganj, Narsingdi, Ghorashal, Madhabdi, Sreepur, Mymensingh, Netrokona, Jamalpur, Sherpur, Kishoreganj, Tarakandi, Bhaluka, Trishal & Gaffergaon. Presently, Titas system is receiving gas from Titas, Habiganj, Narsingdi & Bakhrabad Gas Fields under Bangladesh Gas Fields Co. Ltd. and from Rashidpur, Kailashtila, Beanibazar Gas Fields under Sylhet Gas Fields Co. Ltd. and Jalalabad Gas Field of Oxydental/Unicol. The Company own and operate 735 Km of Transmission pipelines (6”DN thru’ 24” DN) and 7585 Km of Distribution & Servicelines (3/4”DNthru’12”DN). Presently, in Titas System the Daily average offtake of gas is 800 Million Cubic Feet (MMCF) and the yearly Revenue Earnings is Tk. 24000 million. The Company has so far given gas connection to around 9,73,419 customers (17 Power stations, 4 Fertilizer factories, 2953 Industrial units, 7832 Commercial units, 152 Seasonal units, 55 CNG and 968016 Domestic customers). TGTDCL alone is saving a sum of over Tk.22000.00 Million annually on fuel import bill of the country other than its payment to National Exchequer in the form of Excise Duty, CD/VAT, Corporate Tax and Dividend. At Present, there are 2642 Employees (660 Officers and 1982 Staffs) serving in the Company, among which 205 are foreign trained Graduate Engineers, Economists and Accountants. Among the four gas marketing Companies the market share of business of TGTDCL is 70 % of which Power, Fertilizer, Industrial, Commercial, Domestic and Seasonal are 48.20 %, 18.97%,20.28%,1.04%,11.56% and 0.13% respectively. The company operates from its own office complex at Titas Bhaban, Kawranbazar C/A, that is in the centrally located business area of Dhaka Metropolitan City. The office is fully furnished with all modern office facilities and logistics. The office is also equipped with security system with modern digital telephone, Fax, SCADA as well as electronic mail. With the increased shape the authorized and paid-up capital of the Company has increased to Tk. 2000 million and 1507.30 million. “Titas Gas” is now a household name for its uses in the houses, Power plants, Industries, hotels and restaurants. And as raw materials to the Fertilizer factories, it is helping attain autarky in food and other agricultural products. TGTDCL has, by its own right and merit, earned the reputation as well the capacity to undertake any major project in Gas Engineering, Pipeline Construction, Operation and Maintenance thereof and also in the marketing of gas in the country. The main objective of TGTDCL is to supply gas uninterruptedly to Dhaka city and the areas covered by it. The company wants to ensure proper utilization of natural gas. Through its business activities the company is contributing to the Government exchequer. Education : Titas Gas Adarsha Biddyaloy at Demra runs under the management of the company. Sports : Titas Club regularly takes part in Bangladesh Volley Ball Federation and in the Premier Volley Ball League in Dhaka Metropolis. Others : The Company arranges various social, cultural and religious functions every year. Procurement of 5 nos. of Mobile Meter Calibration Units for onsite meter calibration; and Appointment of international and National Consultants for operational and management aspects of SLRP. 604 nos. of Turbine and Rotary Meters equipped with EVC (Electronic Volume Corrector) and 5 nos. Mobile Onsite Meter Calibration Units have already been purchased from the lowest evaluated responsive bidder M/s. Actaris Singapore Pte. Ltd, Singapore. An agreement was singned on May 26,2010 between M/s Fichtner GmbH & Co. KG. Germany and Titas Gas to develop the existing operational & management capacity of the company and foreign consultants has already been started working . To impart Local training, under the project, is now under process. Besides, appointment of local contactor firm through inviting tender for installing purchased meters at customer’s premises is now under process. Energy efficiency is a vital issue for gas conservation. Most of the industrial, captive, commercial and domestic customers are not quite aware of the efficient utilization of gas. Domestic customers of TGTDCL use unmetered gas. They pay bill on a flat rate basis, irrespective of the volume of gas consumed. Some unscrupulous customers also indulge in gas pilferage, using gas in unauthorized appliances. This is one of the factors which contribute to the wastage of gas resulting in system loss of this non-renewable resource. Inefficient utilization of natural gas in different boilers, generators, re-rolling furnaces, crucible furnaces and many other gas consuming equipments and inefficient gas burners cause loss of a huge amount of gas, posing a visible threat to national energy security. Inefficient gas use is an inevitable outcome of incomplete combustion of gas. Thus unburnt carbon and carbon monoxide produced this way degrade our environment. With the financial assistance from Asian Development Bank (ADB) and Bangladesh Government a project titled ‘Supply Efficiency Improvements of TGTDCL’ has been taken in hand. The main goal and objective of the project is to improve supply efficiency in the distribution system of Titas Gas Transmission & Distribution Company Limited (TGTDCL). This improvement in management efficiency, gas conservation and positive environment impact. Design, supply,installation, Testing & Commissioning of 8600 nos.Domestic/Commercial Pre-Paid Gas Meters with necessary Hardware (IcI smart Card,Card reader/writer and Gas selling Management System-GSMS) and Software (SMS and Vending Software)on Turn Key Basis;Design, supply,installation, Testing & Commissioning of 680 nos. Remote Metering System on Turn-key Basis including Procurement and Installation of Turbine meters Equipped with EVC.Consultancy services in Bid preparation, Bid evaluation, Construction supervision related to Turn-key contracts and to develop a ‘ Portfolio of projects’ related to Energy Efficiency Improvement. DPP of the project was approved by the ECNEC on December 22, 2009. The total estimated cost of the project is Tk.5,552.09 lac, including a foreign currency component of Tk.3,470.23 lac. The project will be implemented from January 2010 to October 2012. It is noted that, the Board of Directors of Asian Development Bank (ADB) approved Bangladesh Natural Gas Access Improvements Project on March 26, 2010 at its meeting. Final Loan agreement was signed between ADB and GOB on June 30, 2010 after completion of necessary formalities. At the same date a project agreement was also signed between Titas Gas T & D Company Ltd. ( Part-D Component Executing & Implementing Agency ) and ADB. Appointment of foreign consultant is now under process. About 37.73 km pipeline of different diameters have been laid in different areas of TFA from company’s own fund. 12” DN x 140 PSIG x 7.5 km parallel/loop pipeline from panchaboti DRS to Mokterpur industrial area has been constructed. As a result, the gas flow capacity of the existing gas pipeline network of Moktarpur Industrial Area, Munshigonj District Town and Tungi Bari Upazilla has been increased significantly. Construction of 10″ DN x 140 PSIG x 3.7 km pipeline from Mirpur DOHS DRS to Mirpur Circle-10 has been completed. As a result gas supply in the existing gas pipeline network of Mirpur-10,11,12 and its adjoining areas will be increased. Construction of 8″ DN x 140 PSIG x 2.4 km link line at Surabari, Narsighapur and Kashimpur aea helps in increasing gas supply at these area . Linking of 12″ DN x 140 PSIG line & 16″ DN x 140 PSIG main distribution line built under Dhaka Clean Fuel (DCF) Project from City Gate Station (CGS) of GTCL at Amin Bazar to adjacent DRS of TGTDCL. As a result, the gas flow capacity of the existing gas pipeline network of Dhaka Metropolitan Area has been increased due to elevated inlet pressure at the DRSs’. After completion of construction of 12″ DN x 140 PSIG x 7.5 Km parallel/loop line from Panchabati DRS to Moktarpur Valve Station (Except River Crossing), the gas supply will be increased to the existing gas pipeline network of Panchabati & Moktarpur Industrial Area, Munshigonj Sadar and Tungi Bari Upazilla . A project has been undertaken to supply gas to Purbachal New Town, now being built over 6150 acres of land by RAJUK. Under this project 22.0 km transmission pipeline and 416 km distribution pipeline network will be constructed along with gas stations. Estimated cost for the project is TK. 297.19 crores, which will be borne by RAJUK. Company has taken preliminary works for acquisition and requisition of land after receiving advance payment of Tk 3.50 crores from RAJUK. Gas has been supplied to Siddhirganj 120 MW 1st unit and Siddhirganj 120 MW 2nd unit in Januray 2010 and May 2010 respectively. Besides, Gas supply has also been started to Ashugonj 55 MW Quick Rental Power Plant. The Civil Engineering Department (CED) has implemented different civil works within TFA at a cost of Tk. 2.70 crores , of which, extension of Zinziar Office building, construction of security station, walk-way at Demra CGS and Store Area work was a major one. In addition, construction of soil retention wall, land development, construction of boundary wall etc. has been completed. As a part of building Digital Bangladesh and from the directive of Power, Energy & Mineral Resources Ministry to ensure the optimum use of natural gas a examine feasibility of introducing metering for domestic customers, a proposal to undertake a pilot project for installation of Pre-paid Gas Meter, made under the supervision of Institute of Information and Communication Technology (IICT) of BUET, has been approved at 585th Meeting of Titas Board. Following this, installation of Prototype Pre-paid Gas Meter (Dhanmondi) Pilot Project, financed by the company’s own fund, has been initiated. The cost of the project is 6.71 crore. A contract has been signed between BRTC (Bureau of Research, Testing and Consultation, BUET and Titas Gas on 19-11-2009, which price is 3.90 crore. Under the project 5,000 nos. meter would be purchased and 4,500 nos. meter would be installed at domestic customers premises in Dhanmondi and its adjacent area. Necessary actions has been initiated for installation of pre-paid gas meter from September 2010. The work will be finished within May 2011 as per contract. Installation of System Master Station (SMS) is going on at the head office of the company. Installation of 2 (Two) nos. of Vending Station (VS) at Lalmatia Regional Sales Office and Dhanmondi Area is under process.Appointment of contractor firm for installation of Pre-paid Gas Meter at customer’s premises is under way. It is expected that installation of 4,500 nos. of Pre-paid Gas Meter would successfully be accomplished in FY 2010-11. The DPP of Tk. 8409.64 lac of the project was approved on 24 February 2010, with a view to construction of 20″DN x 25 Km x 1000 PSIG parallel/Loop pipeline from Monohordi to Narsingdi Valve Station-12 from company‘s source. Preliminary works for requisition of land and partial purchase of material for the project has been completed. It is hope that the project will be implemented in FY 2010-11. With a view to improving customer services computerization work of domestic customer’s ledger is under implementation stage. Supply and installation of hardware and software has already been completed. In order to make the Metered Billing and Payroll Application Software presently used by Computer Department befitted with time, a more powerful new Server Bull Escala PL 450 R/T has been replaced in August 2008 with a view to improving customer service by making new Billing and Payroll Application Software using Relational Database Management System (RDBMS) under the UNIX Operating system. It is expected that after successful implementation of the said programme, awareness will be increased within the customers for efficient use and preservation of gas in the domestic sector. In future, all the domestic customer will be provided with prepaid meters which will also create a great opportunity in preservation of gas. To improve the customer service of the company particularly to have more transparency and provide better service to industrial customers, E-Governance system has been introduced in the company. In the first phase, on May 17, 2006 network has been established between Head Office and Savar & Joydebpur Zonal Offices. The present Government has declared its Vision-2021 to build Digital Bangladesh. With a view to expansion of E-Governance System of Titas Gas to a greater extent Bangladesh University of Engineering & Technology (BUET) has been appointed as consultant for preparing a time bound Implementation plan. BUET has already submitted a preliminary report to the company. The computer system of the company will be further modernized as per BUET’s recommendation. Gradually all the regional offices of the company shall be brought under the existing server facility of the Head Office and the customers will be provided with online payment facility. In order to remove consumer sufferings associated with standing in long queues and various post-payment hassles in payment of gas bills, Titas Gas and Grameen Phone have jointly launched the Bill Pay Service from August 14, 2008. Under this new system domestic & commercial customers of can pay their gas bills from anywhere at anytime through their mobile phones or at any GP authorized BillPay Centers. Customers have paid TK.36.64 crores through Bill Pay system during FY 2009-10 compared to 8.94 crores in FY 2008-09. Ministry of Power, Energy and Mineral Resources/ Energy and Mineral Resources Division.Titas Gas Transmission & Distribution Company Limited (TGDCL). Titas Gas Transmission & Distribution Company Limited (TGDCL). 02. Objective of the Project (Please Specify) The main objective of the Project is to improve supply efficiency in the distribution system of Titas Gas Transmission & Distribution Company Limited (TGTDCL). This improved supply efficiency will result in system loss reduction, increase of management efficiency, gas conservation and a positive environmental impact. Design, Supply, Installation and Commissioning of 680 Nos. Remote Metering System on Turn-key Basis including Procurement and Installation of Turbine Meters Equipped with EVC. Consultancy Services in Bid preparation, Bid evaluation, Construction supervision related to Turn-key contracts and to Develop a ‘Portfolio of Projects’ related to Energy Efficiency Improvement. The company started supplying gas to 117 CNG Stations at present which reduces the dependence on import of energy and prevents environment pollution. CNG conversion able 102 vehicles of the company have been converted to CNG & new vehicles are being purchased with CNG conversion kit which reduces fuel cost to 11.11% for the year 2006-07 compared to the previous year. At present four gas distribution companies are supplying gas to their customers of respective franchise area through installation of gas pipeline network. TGTDCL has the lion share and presently approximately two-thirds of the total gas consumed in the country is being distributed by Titas Gas. About 80% of gas marketed by the company is used for power generation. At present, the company is receiving 1,400-1,450 MMSCFD gas from different gas fields as against a demand of 1,800 MMSCFD, which makes a deficit of 350-400 MMSCFD. This results low pressure problem at Narayanganj, Munshiganj, Savar, Gazipur, Manikganj and some areas of Dhaka City. In order to augment the gas supply situation, construction of 20″DN x 25 Km x 1000 Psig transmission pipeline from Monohordi to Narsingdi Valve Station-12 at an estimated cost of Tk. 100 crores is under implementation. Besides this, various measures have been taken to solve the prevailing low pressure problem and to improve existing gas distribution pipeline networks of different areas of Dhaka City and Munshiganj, Mukterpur, Jinjira, Keranigonj. Construction of link line between CGS of GTCL at Aminbazar with 12″ DN x 140 PSIG line & 16″ DN x 140 PSIG main distribution line built under Dhaka Clean Fuel (DCF) Project and Construction of 6″ DN x 50 PSIG x 300 Meter link line and Regulating Station at Bhanga Bari, Keranigonj have been completed. Construction of 12″ DN x 7.5 Km Distribution Main Pipeline from Panchabati DRS to Muktarpur V.S has already been started. Construction work of 10″ DN x 4.0 Km distribution line from Mirpur DOHS DRS to Mirpur Section-10 has been undertaken. It is expected that after completion of these works, prevailing low pressure situation of some parts of Dhaka City and Munshiganj, Moktarpur, Jinzira, Keranigonj will be resolved and the gas supply situation will be improved to a great extent. a) With the gradual expansion of DhakaCity, the number of customers has also increased. As a result, some times, gas could not be supplied in some areas as per demand with the existing pipeline network. In some areas, low pressure problems have been solved by constructing link lines such as Tejgaon, Palton, Segunbagich Fakirepul, Santiago Postagola, Hazaribagh, Mirpur etc. Under Dhaka clean fuel project 94 KM x16” pipeline has been completed to solve the low pressure problems in distribution system & to supply gas to CNG filling stations. Besides construction work of five (5) new TBS/DRS and modification of five (5) TBS/DRS have been completed. b) Construction of 16”x300 PSIGx1.2 km from CGS, Akshulia of TGTDCL has been completed to supply more gas in the distribution network of Titas franchise area. c) To solve the low pressure problem in Madhabdi and its adjacent industrial area under Narshingdhi district a total of 9.5 km gas pipeline have been completed including the construction of 12”x50 PSIG gas pipeline from Makdhabdi DRS to bus stand & 8”x50PSIG gas pipeline at Birampur , Anandi industrial area. Regular patrolling system is essential for maintaining safety of transmission pipeline. But the number of Company’s Patrolmen is inadequate. Therefore, private security service has been engaged for safety of high-pressure pipeline and regular supervision to prevent accident. Effective efforts have been undertaken to reduce system loss. The premises of the Industrial & disconnected customers have been inspected by the special teams. In the financial year under review due to sincere efforts put in by Titas Management under the direction of Titas Board, Petrobangla and Ministry, positive result could be achieved from February-06 and system loss could be brought down to 5.26% during the year. System loss has come down to 5.26% compared to 6.47% in the previous year. Necessary steps have been taken to bring down system loss to less than 2% this year. a) The Company has been implementing different action plans to reduce overall system loss/unaccounted for gas by maintaining area wise input-output & fixing responsibilities, RMS sealing, calibration and replacement of old meters, intensive vigilance, disconnection of unauthorized gas connection by task force, speedy disposal of court cases, electronic volume corrector, flow/pressure logging device etc. Necessary steps are being taken to prepare proper gas bill of all industrial customers through collection of meter reading by computerized remote-metering system for reduction of system loss. Necessary measures have been taken to reduce the present system loss at Narayanganj, Sonargaon Tongi, Narsingdi, Ashuganj and Brahmanbaria and metro sales zone (Ind. & Com. 1, 4). A target-oriented programme is being implemented by assigning officers to collect meter reading through frequent of the customer premises. Meter sealing and testing programme is being implemented by assigning officers to collect meter reading through frequent visit of the customer premises. Meter Sealing and testing Programme is being completed properly and timely. Despite the best efforts made by the Company and better congenial working atmosphere, reduction of system loss at a desired level could not be achieved due to shortage of efficient manpower, construction of unauthorized by-pass line by the dishonest customers, injunction order of the Honorable Court in favor of defaulter customers, illegal re-connection from disconnected risers, unauthorized use of additional appliances/gas load, excess gas consumption by the un-metered domestic customers, interference on RMS and meter tampering etc. During the year 2006-07 the figures for net gas purchases and sales stood at 11833.38 MMCM and 11204.10 MMCM respectively. The sales figures for Bulk and Non Bulk customers stood at 6280.65 MMCM and 4923.45 MMCM respectively. If system loss is not counted in the Bulk sector, then the total system loss will be 11.21%. On the other hand revenue loss of all kinds of customers including Bulk customers stood at Tk. 174.26 crore and system loss is 5.26%. b) To reduce system loss and to collect arrear gas bills as per direction often higher authority, the company formed 8 inspection teams and 2 disconnection teams to inspect all the industrial customers’ premises to find out the illegal use of gas by dishonest customers. The special teams have inspected 3869 commercial customers & 1641 industrial customers from March 29, 2007 to April and from May 14, 2007 to June 24, 2007. 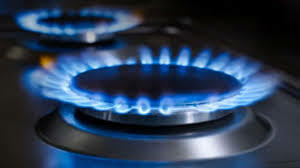 Among those customers, 537 commercial customers & 99 industrial customers have been disconnected for illegal use of gas. As per application, the disconnected customers have been reconnected according to gas marketing policy 2004 and TK 10.47 corers have been realized as additional bill and penalty. During the year under review the Board of Directors has recommended a dividend of Tk 173.44 crore which was paid in advance as ad-interim dividend. During the year 2008-2009, the amount of declared dividend was Tk. 106.54 crore. The broad objective of this study is to evaluate the planning and performance of Titas Gas T & D Co. Ltd. over the last five years (2006 – 2010). Carrying out strategic analysis of Titas Gas T & D Co. Ltd.
Analyze the Financial Performance of the company. To analyze the capital structure and to identify the trade off between leverage and risk i.e. asset – liability management. To identify the optimum capital structure. To analyze the future perspective and suggest measures for improvement. To prepare this report I based on secondary data (annual report, annual budget and other reports and policy directives). Discussions with the concerned managers have been carried out as and when necessary for the development of clear understanding and perception. A brief and simple set of ratio analysis have been included in the financial analysis part. The research is directed towards the ultimate identification of the shortcomings and to suggest remedial measures there upon. The project falls in the category of descriptive research, i.e. a research designed to describe the characteristics of the financial performance of the company. It seeks to determine the answer to who, what, when, where and how questions pertaining to the subject. The basic research method in this study is based on the empirical review method. In that the annual report and the yearly budget are the major source of data. Besides, the study of the other financial documents and discussion with the concerned managers yielded the additional information to fill up the gaps and helped in clear understanding. Sources and Method of Collecting Information. The main source of information is the study of the annual reports and the yearly budget plans. Besides, consultation of other documents (especially Administrative Manual, Finance Manual, various reports and returns) and discussion with concerned managers had been of great use. Data on financial planning and performance of Titas Gas T & D Co. Ltd.
Non-probability sampling and in that judgmental sampling. This has been done in congruence with the objective of the study. 5 years financial data for all purposes have been used. Financial data of year 2003 to 2007 has been used for all purposes. Data Analysis and Presentation Methods. Financial ratios and their trend analysis have been included with the Financial Analysis Part. This basic and simple tool is very useful, almost for all kind of financial analysis. It also has served the purpose of exploratory research and helped framing of the descriptive research. All through data have been presented in tabular form followed by statistical analysis and/or numerical interpretation. Strategy analysis is an important starting point for the analysis of financial statements. Within any given industry some companies are profitable than others. External environment which determine an industry’s attractiveness is not the only factor that affect company profit. An organization need to achieve competitive advantage which otherwise means, a company’s ability to outperform its competitors, to be a successful company. In this section, attempt will be made to diagnose TGTDCL in terms of its external environment, internal resources, capabilities, competencies and competitive advantages. For a Government organization like TGTDCL it is really very difficult to apply this model for external environment analysis. The reason is that the business TGTDCL is doing is somewhat monopolistic. TGTDCL is the sole company in the area in which it is operating its activities. It has no other competitor to compete with. In spite of this reality, an attempt has been taken to analyze external environment of TGTDCL using the model. TGTDCL is a big Government organization. Normally companies that are not currently competing in an industry, but have the capability of doing so are known as potential competitors. The organizations namely Bakhrabad Gas Systems Ltd., Paschimanchal Gas Company Ltd., Jalalabad Gas T & D System Ltd. and Titas Gas T & D Company Ltd. are actively engaged in gas distribution business, but each of those enjoys monopoly in their franchise area. Since the company enjoys monopoly in its franchise area and no chance of entering new organizations to its area of operation in near future, the industry risk does not arise for the company. TGTDCL has got different types of customers. Most of them are domestic customers and some are Commercial and Industrial customers. There are some CNG stations, Captive Power and Seasonal customers also. But, bargaining power of customers is very low as gas price fixation is fully under control of Government. The product is a commodity type of product and till now the threat of substitute products is very low for this company as no other fuel is as cheap and available as natural gas. CNG fuel is saving valuable foreign currency on import of energy and at the same time is preventing environment pollution. Now a days, the motor vehicles are converted into CNG fueled which helps to reduce fuel cost. Product that the supplier sells has few substitutes and is important to the company. When the company’s industry is not an important customer to the supplier. When suppliers respective products are differentiated to such an extent that it is costly for a company to switch from one supplier to another. When to rise prices, suppliers uses the threat of integrating vertically forward into the industry and competing directly with the company. When buying companies cannot use the treat of vertically integrating backward and supplying their own needs as a means of reducing input prices. For TGTDCL none of the above mentioned situations becomes fully applicable. Besides TGTDCL there are other gas companies like Bakhrabad Gas Systems Ltd., Paschimanchal Gas Company Ltd., Jalalabad Gas T & D who are actively engaged in gas distribution. But there is no rivalry among them because they are doing business in different area where they are enjoying monopoly in their franchise area. TGTDCL is making stable profit over last several years. In this section, attempts will be made to identify the sources of competitive advantages of TGTDCL. The competitive advantage TGTDCL faces is that of monopoly business. The company has no other competitor to compete with. It is entrusted with the responsibility of transmitting and distributing gas to its operational area under Government policies and also monitored by Government. So, all the existing or potential government regulations are generally in favor of the gas transmitting and distributing companies. It has been mentioned earlier that for a Government organization like TGTDCL it is really very difficult to apply Porter’s five forces model for external environment analysis. The reason is that the business TGTDCL is doing is somewhat monopolistic. TGTDCL is the sole company in the area in which it is operating its activities. It has no other competitor to compete with. So, the company enjoys different kinds of opportunities which are not available for any conventional business organization. All the existing or potential government regulations are generally in favor of the gas transmitting and distributing companies. This is the key strength for TGTDCL. For being a government organization, TGTDCL enjoys some opportunities which are not available in conventional business organizations. First of all, the company enjoys monopoly in its franchise area and there is no chance of entering new organizations to its area of operation in near future. So, the company faces no rivalry within its industry. This distinct factor makes TGTDCL strengthened against the threats of new entrants. Threat of substitute products is also very low as till now no other product is found as the substitution of natural gas. The effect of bargaining power of buyers gets reduced as policies related to gas price fixation, demand & supply and distribution is fully under the control of Government.